Monday | February 6, 2017	Chocolate makes your day. Try it and you will know! Bakerzin’s Decadent Chocolate Cake is a perfect example. Finest selection of ingredients give this cake its richness and decadence. The use of premium Valrhona chocolate accentuates the taste and flavour to new heights, making you crave for a second and third helping. 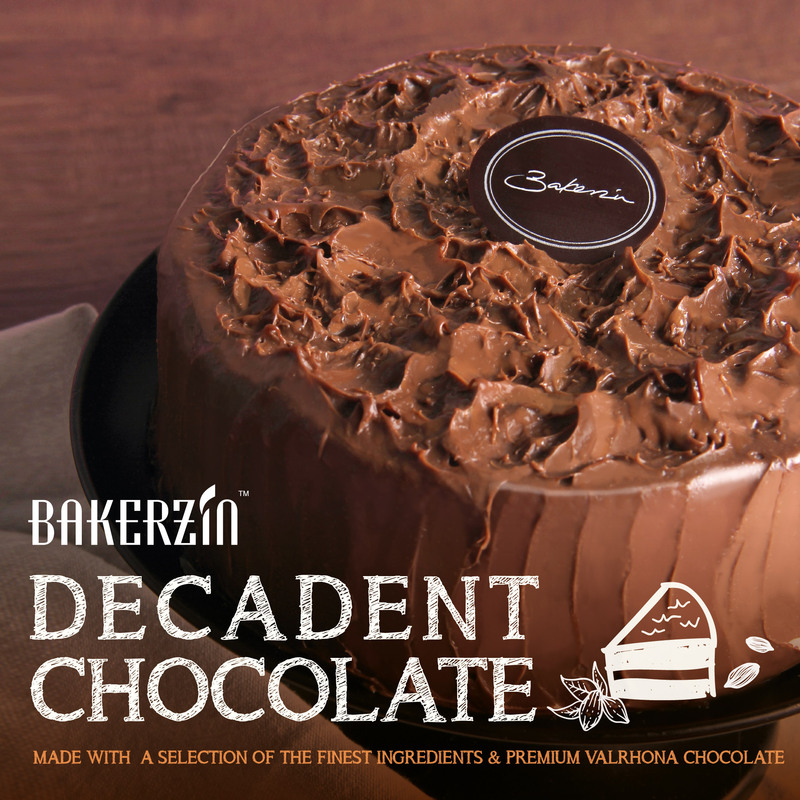 Starting today, head on down to any Bakerzin outlets and treat yourself to a rich and decadent chocolate cake. Available in size 5, size 6 and size 7.